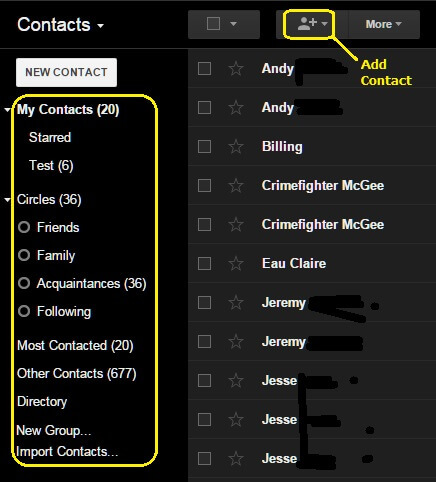 How do I view my contacts in Google Apps? Step 1) Login to your Google Apps account from a web browser. Step 2) Click on 'Mail' in the upper-left and then on 'Contacts' from the list. Step 3) You should now be at your contact list. You can see how your contacts are sorted on the left. Also you can add a contact by clicking on the person with a + sign icon.